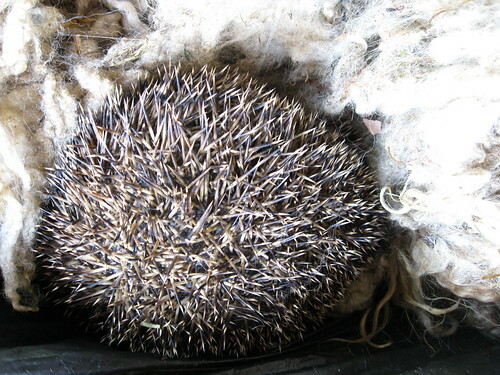 I needed to wash some more Masham fleece for a customer on etsy but I didn’t expect to find a hedgehog curled up inside the wool! I plonked the whole bag of fleece into a wheelbarrow while I went to fetch the camera, I couldn’t let him slip away without capturing the moment! He seemed not to mind being unwrapped and only woke up when I got my landlord to take his picture away from the fleece. Hopefully the fleece and hedgehog suffered not for the experience. 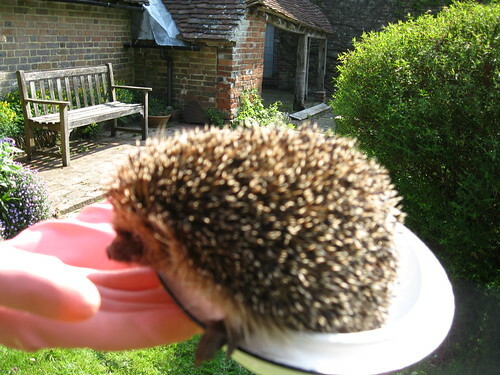 I let him go in some undergrowth to continue his nap and hopefully our garden will be snail & slug free in the future. My fleece will now be stored off the ground!